Windows 10 People app lets you sync your contacts in Gmail and iCloud as well as contacts on other Windows email clients and mobile devices across Windows 10 powered devices such as PC desktop, laptop or Surface Pro tablets. Here’s a guide on how to import contacts from Gmail, iCloud and other services to People app on Windows 10 computer. It’s quick and easy to transfer all your personal, business, and friends contacts details saved on iCloud, Gmail, and other services without having to copy each and every contact manually for back up on PC. 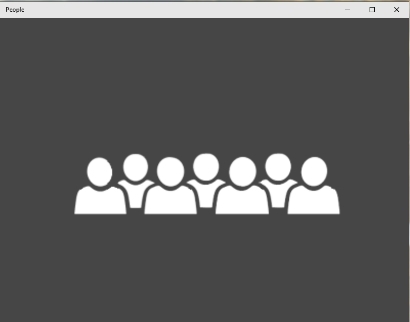 The People app for Windows 10 is your main go-to app to sync all your contacts on PC. Windows 10 People app allows you to import and sync important contacts from services other than the Outlook. All you need to do is to add your account information accurately and let the app do the rest for you. 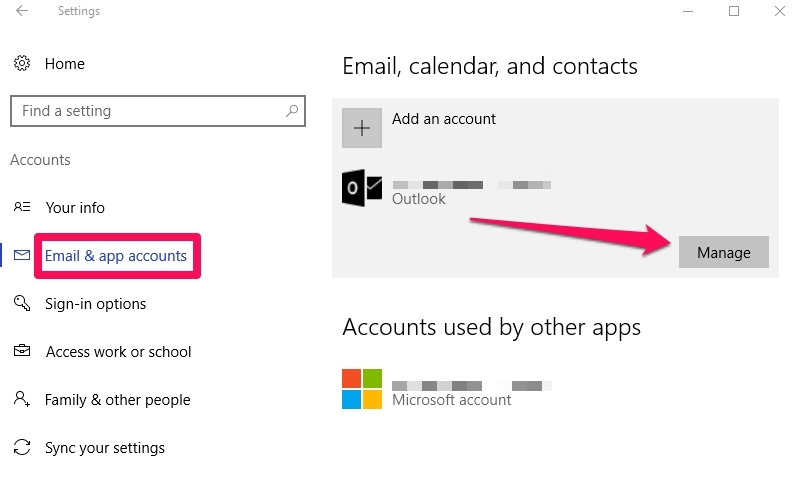 Here are the steps to sync iCloud, Gmail and other contacts to the Windows 10 People app. You can use People app on Windows 10 to sync your contact from Gmail, iCloud, and other mobile and email services. All contacts are arranged alphabetically to make it easier for you to find them. You can use the app’s search function to directly find the contact, type contacts initials and People App will bring closest and exact matches on the screen. You contact details includes name, email, mobile number, recent messages and calls timeline, and sharing feature. 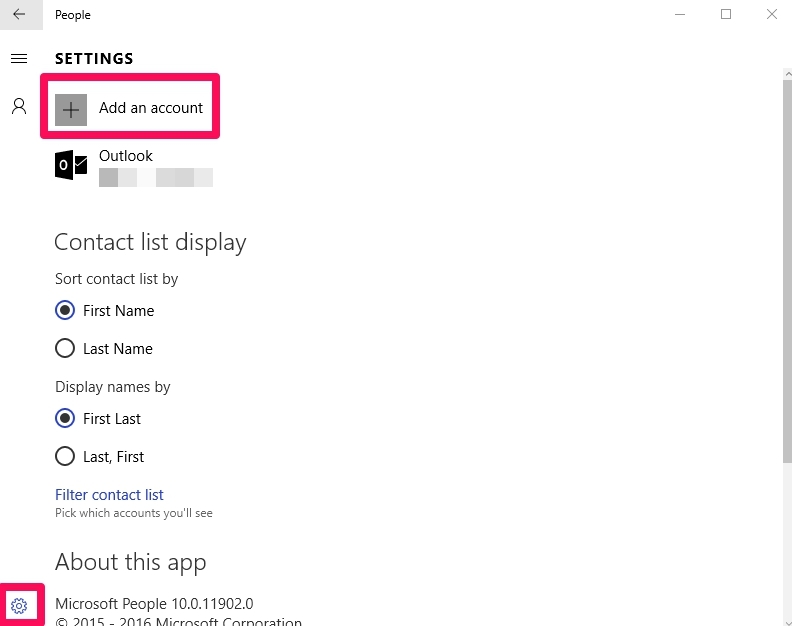 You can edit your contact detail from the People app, all changes will be automatically synced for that particular contact saved in iCloud, Gmail or other services on PC provided you have linked that service and People app on Windows 10 to a same account. 1 – Open People app on Windows 10 PC. 2 – Click the Settings button on the bottom-left corner of the People app window. 3 – Click on Add an account. 4 – In the Add an account box, under Choose an account list, pick the service that you want to link with the People app for automatically syncing contact details for back up on PC. 5 – Click on the account such as Google or iCloud and enter chosen account’s username and password. Follow on-screen instructions as prompted to complete the setup process. 6 – Click OK when done. 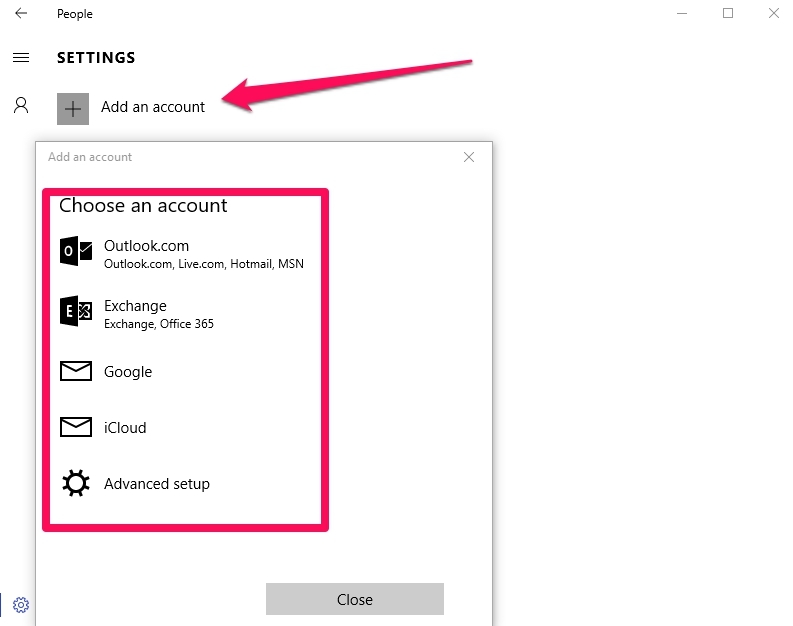 Now that you have created and linked to iCloud, Gmail or any other account with the People App on Windows 10, see how you can sync contacts. Above process imported contacts and their details from the desired services onto the People app. It will also sync email account with the Mail app on Windows 10. But what if you only want to sync your contact and don’t wish to import email to the Windows 10 Mail app? 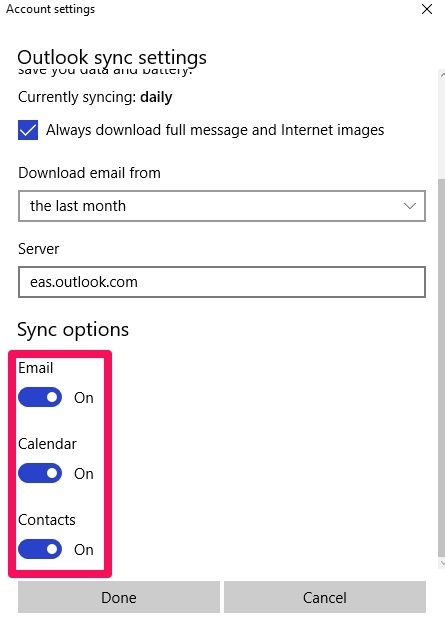 Well, see the steps to only sync contacts without emails syncing. 1 – Open Settings app on Windows 10 PC. 2 – Click on Accounts. 3 – Click on Email & app accounts. 4 – Select the email account and click Manage. 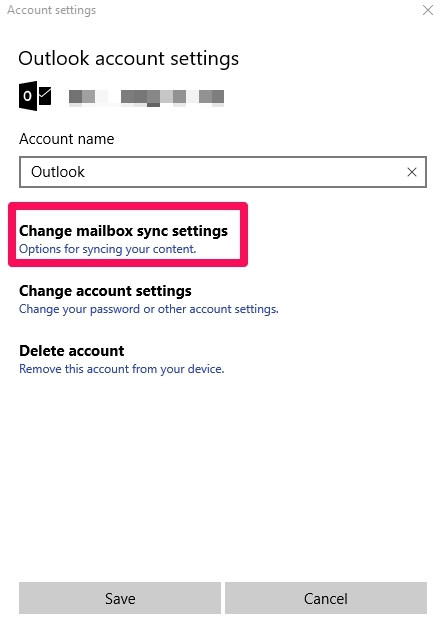 5 – Click on Change mailbox sync settings option. 6 – Scroll down and turn the Email and / or Calendar toggle switch OFF, but leave the Contacts toggle switch ON. 7 – Click Done to finalize changes. Note: Syncing contacts from other services to the People app works only on PCs running on Windows 10, your settings won’t be ported to other devices and will remain active only on the PC on which you enable contact syncing for People app in Windows 10. People app is a really useful app because once the contacts are synced in Windows 10, it will be easier for you to send SMS text messages using Cortana to your synced contacts in People app without needing to a mobile device. So if you don’t use People app on Windows 10, we recommend that you start using this helpful app on Windows 10 PC. Leave comments below, if you are facing any problem setting up or syncing contact on People App.